Tune in every Friday for BCB’s Friday Favorite. 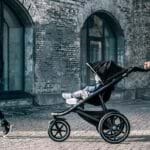 A place where Bump Club and Beyond shares our favorite parenting products, brands or services that makes parenting that much easier. This week we’re featuring a new favorite: Ju-Ju-Be. Find out why we love three of Ju-Ju-Be’s new diaper bags below and enter to WIN one of your own! THREE lucky winners will be chosen and notified by Friday, December 14. CLICK HERE TO ENTER TO WIN. Ju-Ju-Be’s Encore Tote is the perfect bag for life on the go. Not only is this this tote spacious and durable but it also has reinforced straps and numerous pockets, including a quick-reach pocket for your cell phone. The Encore Tote is lightweight, machine washable and its Agion treatment prevents bacteria from accumulating inside of it. As if that weren’t already enough, this amazing tote comes with a lightweight changing pad. The best part? It retails for just $50.00. In addition to coming in Black Rose, the Encore Tote also comes in Midnight Posy and Graphite. Ju-Ju-Be’s Ballad Backpack is a must-have for moms and dads alike. Not only does it make a great diaper bag but its classic design and color options make it a great everyday bag. 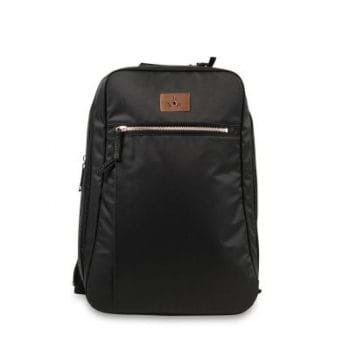 The Ballad Backpack is machine washable and has a padded back pocket, which helps keep your laptop safe. This beloved backpack comes with a changing pad and is Agion-treated, keeping bacteria, mold and mildew out. 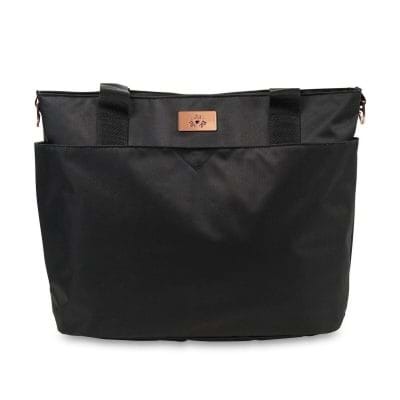 Whether you are using this as a diaper bag, a work bag or both, you’re sure to get great use out of Jujube’s Ballad Backpack. This backpack retails for $60 and in addition to coming in Black Rose, the Ballad Backpack also comes in Midnight Posy and Graphite. Ju-Ju-Be’s Classical Convertible is the versatile diaper bag you’ve been waiting for. Not only will it get you through your little one’s diaper days but its detachable straps, which allow you to carry it as a backpack or a messenger bag, make it the perfect bag for seasoned moms as well. The interior is Agion-treated, keeping bacteria out, and it has numerous pockets, helping you stay organized. 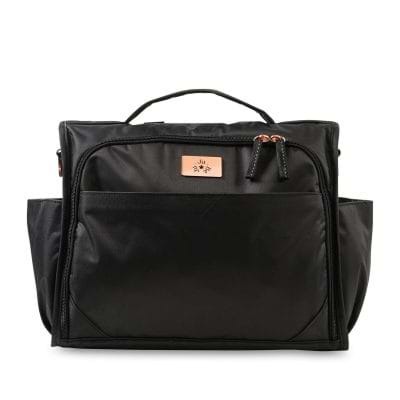 This amazing machine-wash diaper bag retails for $70 and it even comes with a lightweight changing pad. In addition to coming in Black Rose, the Classical Convertible also comes in Midnight Posy and Graphite.